These days it’s fairly normal to look down on young whisky. 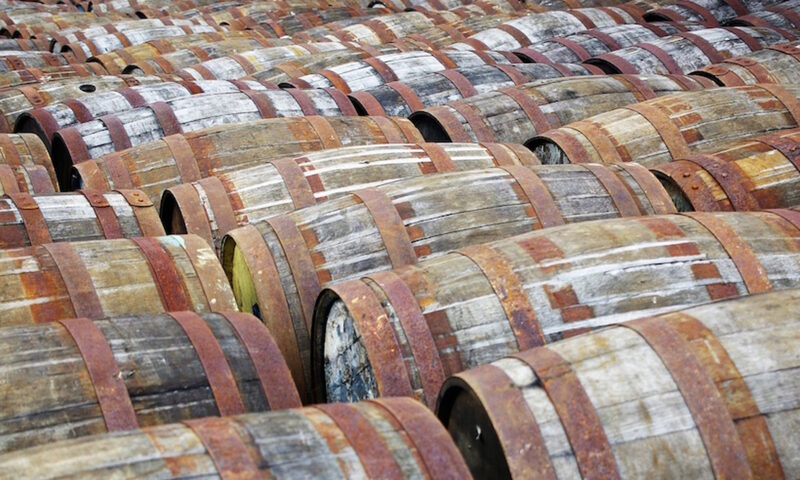 The glut of old whisky in the 1980s and 1990s led to advertising campaigns extolling its virtues and the current opinions, but step back to the 1970s and you find whisky that’s older than its teens being avoided due to being overly mature. I’d love to see more companies following the lead of Gordon & MacPhail’s and a few others, labelling young whiskies proudly with their age, but the decades of consumer ‘education’ has made it an uphill battle. The ‘young whisky can’t be any good’ thing can be good if you don’t agree with it, especially at auction – the number of people bidding on old bottles that proudly display a five year age statement is significantly less than bottles with larger numbers on, leading to bargains. One such whisky is a five year old Glen Grant, distilled in 1978 – the year I was born. My bottle of Glen Grant, in a flower bed. It was at the distillery, so it’s appropriate. 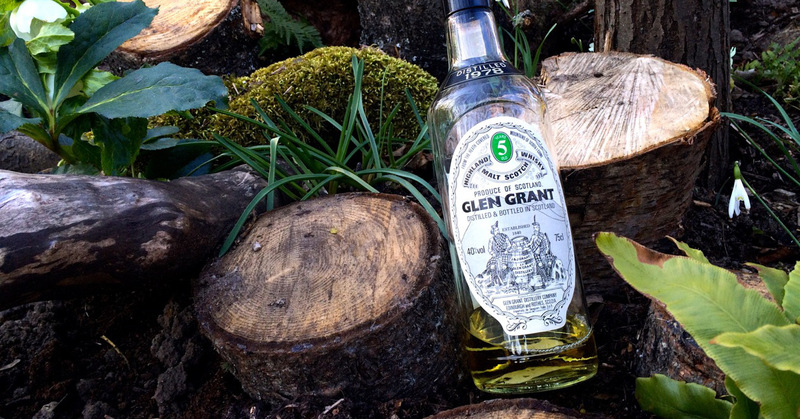 Glen Grant do still make a five-year-old but you can’t get it in the UK – it’s mainly available in Italy, the country where my bottle was originally sold. Italy, like other countries on the European mainland, have retained a fondness for young whisky, and Glen Grant 5yo is one of their biggest sellers. Nose: Lemon cream and parma violets – not as much as FWP-heavy Bowmore, but just a touch. Behind that sits a strange mix of Danish pastries and damp ferns – green sharpness with a vanilla cream and buttery sweetness. Right at the back, with a bit of dustiness, there are sweet and sour American oak notes: apple skin, coconut and a touch of sap. Palate: More floral notes to start – a hint of violet, followed by honeysuckle. A bitter/butter combo of barrel char and sweet icing follows, with linseed oil and some fresh and stewed apples. A little bit of oaky spice sits at the back, along with some of the sappiness from the nose. Finish: Apples and oak – pie and wood chips respectively. Short but long enough. This is not an old classic or a whisky that should be worth lots of money – it is a dram that shows how things have changed over the past three decades. The distillate is very much in evidence, without overt layers of oak influence to try and hide it, and the spirity notes are soft, fruity and in tune with the wood. The 30 years in bottle has almost certainly helped, but this is just a nice whisky. Fortunately there are still nice whiskies out there, but this old style is increasingly hard to find. Hi – Thanks for an interesting post. I picked up a handful of old miniatures at an antique fair a while back which included a Glen Grant 5yo. I’ve not been able to find much about it so read this with interest. Will crack it open now. It’s always interesting trying older bottles (as in bottled a long time ago) of whisky.